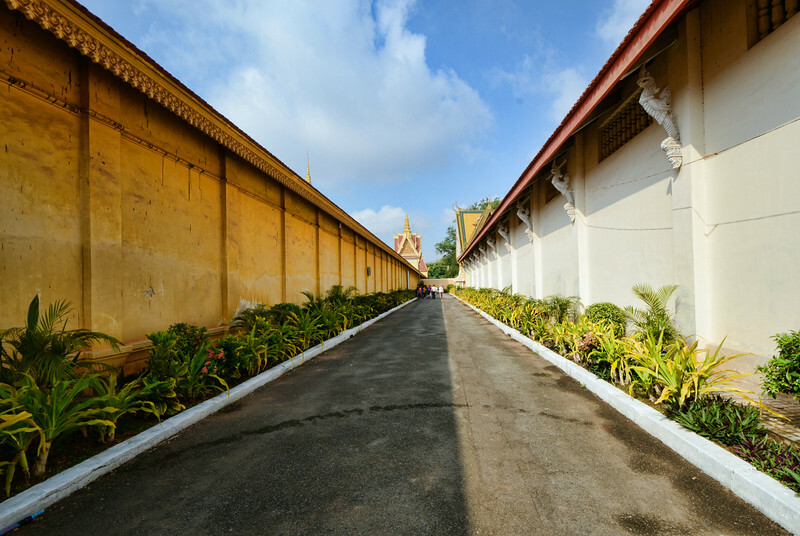 015 - Phnom Penh - Cambodia - 2014 - John Macs Travel & Photography. 015 - Phnom Penh - Cambodia - 2014. Today we took a flight from Vietnam to Cambodia. We arrived here in Phnom Penh, Cambodia. We then travelled to our hotel, The Himawari Hotel and Apartments, another fantastic hotel. We went out for dinner at The Titanic Restaurant, on Sisowath Quay, a fantastic setting and the food was great. The next morning at around 08:00am we visited The Royal Palace, on Samdech Sothearos Boulevard. We had around 3 hours here visiting this beautiful palace, built in 1866 by King Norodom, the royal palace is now home to The King & Queen of Cambodia. Phnom Penh, Cambodia. - 2014. The Royal Palace, Samdech Sothearos Boulevard, Phnom Penh, Cambodia. - 2014.